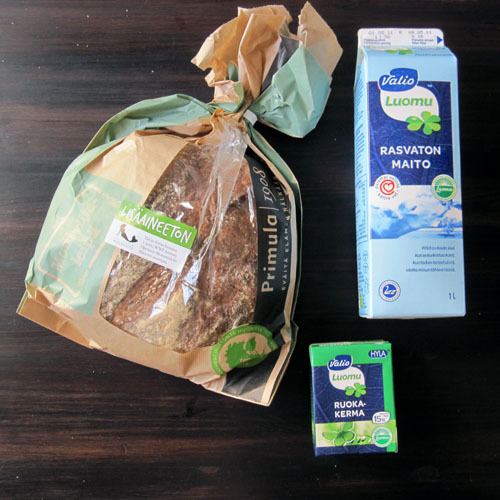 Last week I heard on the radio that it was frugality week (nuukuusviikko) so I decided we would maximize the challenge and eat for free. So off we went my children and I looking for nettles in our semi-urban neigbourhood. 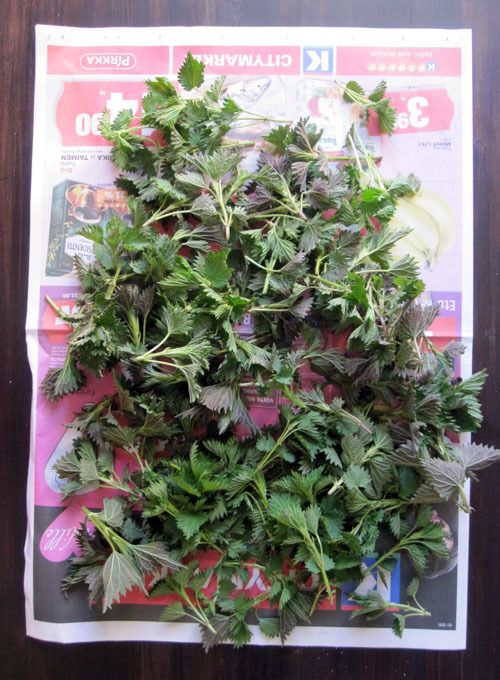 I have a book called "101 uses for stinging nettle" and I don't remember what the other 99 uses are, but you can eat it and you can make a very potent fertilizer by soaking them in water. 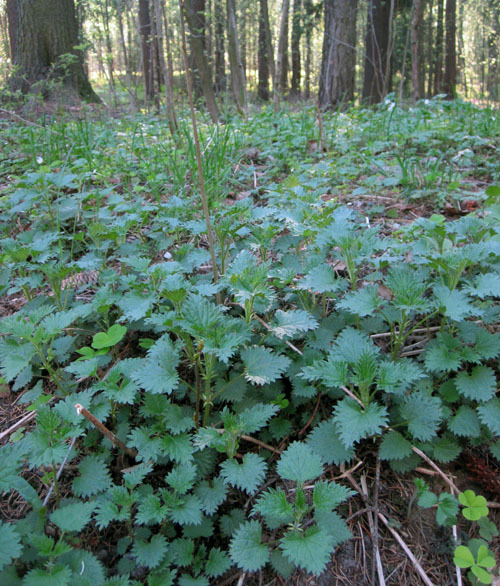 Nettle tastes a lot like spinach except better and it has a lot of iron. 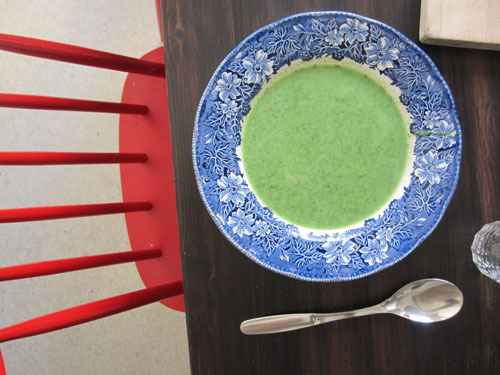 I've previously used it dried and sprinkled in just about anything but I'd never made the big nettle classic: nettle soup. To get the other needed ingredients we decided to gather empty bottles and return them for the recycling deposit. There is a big park near our home with people engaging in a Finnish summer pastime called pussikalja (drinking beer from a plastic bag outdoors) so we were sure we would find bottles, but we had bad luck. It was a few days after May day and the park had been thoroughly emptied of all trash. So as we couldn't cheat and use money, we called my sister and asked her to bring all her empty bottles to a near by supermarket and trade them in for the missing ingredients. As she already had vegetable stock, butter and flour we only had to buy cream, milk and bread (the milk and bread were mainly incase the children would refuse to eat the soup). My sister acted as head chef so I cannot give a precise recipe. 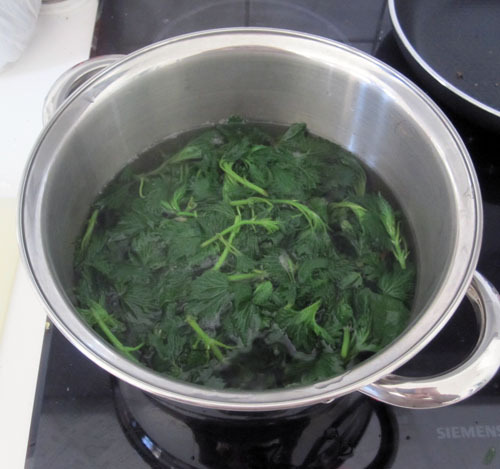 Basically the nettles are boiled in water, pureed and enriched with cream (we chose to boil the nettles and change the water once because nettles grow in very fertile soil and in cities soil is often made fertile by dogs). The soup was very good (and the children did end up eating bread for supper). 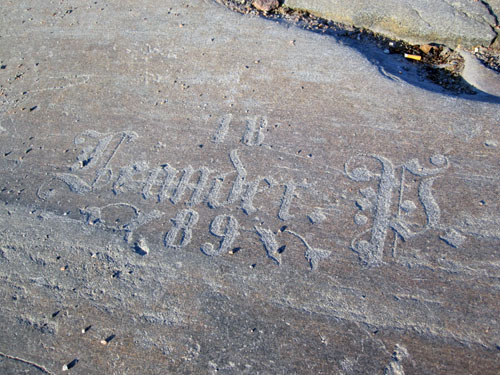 When we were leaving my sister showed us some ancient graffiti on the rocks near Kaivopuisto. This one was from 1889, supposedly by P.Leander. Super nice. And proof that you can always learn new things about your home city. This is a completely unofficial guide to design and Helsinki written by the three designers behind Imu design.